Janet Gyenes is writer, editor, and co-author of two travel guidebooks on Vancouver. She has put her insatiable curiosity to work in words and photos, covering topics such as tasting sherry in Spain, mule-riding in Molokai, and tracking textile trends in Turkey. She regularly writes for Real Weddings with advice, tips and trends for B.C. couples. 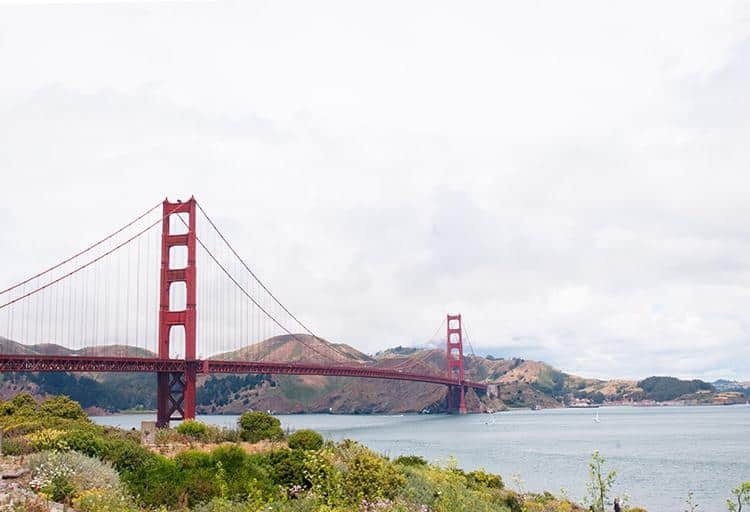 It’s easy to understand why beloved San Francisco is at the top of travellers’ to-do lists. Over the eras, the city has been drawn by explorers who discovered this once-hidden bay and prospectors who made their fortunes during the Gold Rush of 1849. Literary giants like Mark Twain left their mark, as did the Beat poets and the other countercultures that challenged the status quo. Adding to its inimitable vibe is a melting pot of ethnicities, a fog-laced bridge, creaky cable cars, lush gardens surrounding a crazily crooked street and a prison island. Despite its allure, deciding what to see and do during a short San Francisco sojourn can be overwhelming, like a thick novel that’s romanticized but tough to crack. At first, the neon glow emanating from the low-rise building that looks like it’s being attacked by light sabers catches your gaze. When you get closer to the street-front windows you might think you’re peeping in on some demented dance party. That’s until you see that Ping-Pong tables are the main attraction here at SPiN. 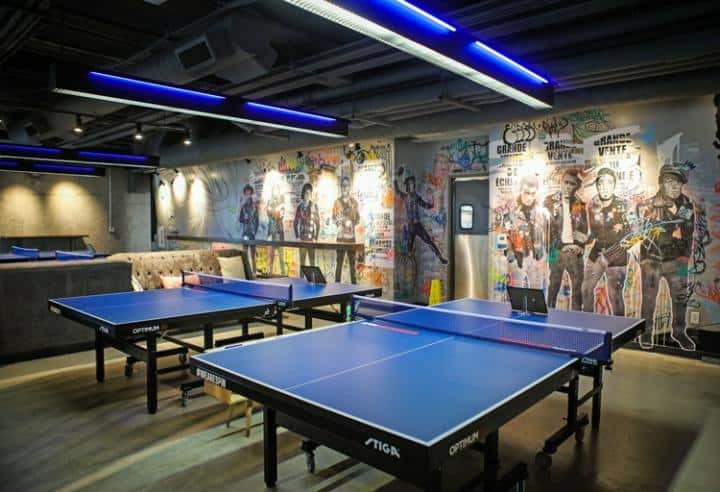 Opened in early May, the location on the corner of 3rd and Folsom streets is the newest franchise in the fold of this Ping-Pong social club, started by actress Susan Sarandon and others when it was established in NYC’s Tribeca ’hood. By day, you can bash the ball about with the kids in a family-friendly environment. At night, a 21-plus crowd transforms the sporting atmosphere into a playful entertainment venue where craft cocktails, chef-worthy cuisine, a house DJ and a chic-meets-geek crowd converge. Three years. 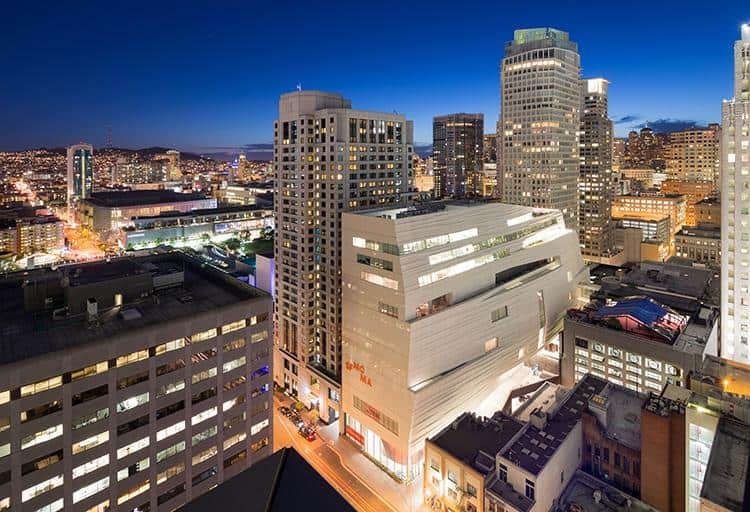 That’s how long the San Francisco Museum of Modern Art (SFMOMA) was closed during its $305-million expansion. In mid-May, SFMOMA welcomed the world inside its new 10-storey building designed by Snøhetta (the Oslo-based firm is working on the new Calgary Public Library), which has been seamlessly integrated behind the 1995 building designed by Mario Botta, doubling the museum’s exhibition space. The architecture alone is alluring. Its rippled horizontal panels (more than 700) recall waves on San Francisco Bay and are studded with silicate crystals from Monterey County that catch the light, transforming a solid structure into one that almost becomes fluid as the day unfolds. Inside and outside spaces fuse together. Sculpture gardens let guests walk among permanent installations, such as Alexander Calder’s outsized ironwork (his delicate mobiles are inside), and gaze at the city’s skyscrapers. Its living wall eclipses Apple’s (see slide 4), sprouting with 16,000 plants. There are plenty of big names to ogle at here. Works by Mark Rothko, Robert Motherwell, Clyfford Still and Josef Albers can be found alongside Roy Lichtenstein’s massive pop-art canvases, which are part of the Doris and Donald Fisher Collection (on exhibit until June 2017). And bonus! 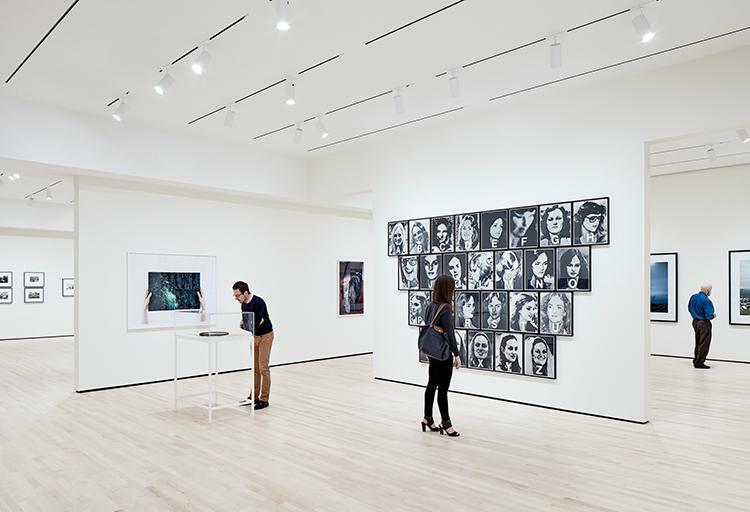 There’s free public access to the ground-floor galleries (45,000 square feet! ), plus visitors 18 and under can explore the entire museum gratis. Head to the new Howard Street entrance where Sequence, the massive bronze sculpture by Richard Serra, is surrounded by glass walls, giving passersby a peek inside. In trendy Union Square it’s an easy feat finding cocktail bars balanced atop luxe hotels or stretched out in their lobbies. But when you want a beer without the pomp and ceremony head to Mikkeller Bar on Mason Street (between Eddy and Turk streets). 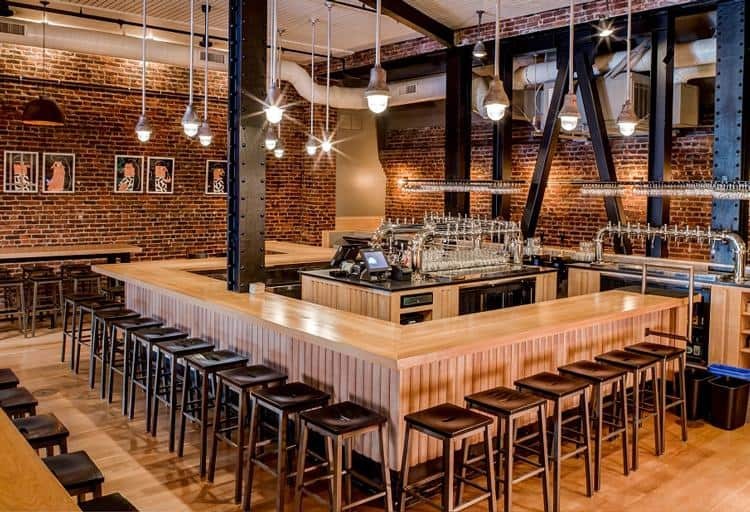 Its 40-plus taps might sound like child’s play to big-time beer drinkers. But trust us, closed-minded quaffers don’t need to darken the door. Sure, you’ll find beer-geek-speak all over its menu, detailing the lineup of hops, ABV and type, along with over-the-top names such as #Stoked On Mosaic, by California’s HenHouse Brewing Company, and Mikkeller’s The Stig Gose to Hell. But what makes Mikkeller an outlier are two things: temperature and size. Don’t expect a ridiculous frosted mug if you order the Mikkeller SD Rauch Geek Breakfast. It’s served at a balmy 55 degrees that bring out the oatmeal stout's coffee and smoked malt flavours. This 7.5% ABV brew comes in a right-sized 25 CL pour so you’re not overwhelmed with a pint. The 12% ABV Mikkeller SD George Imperial Stout, similarly, is served at 55 degrees but comes in a respectable 25 CL pour. Need more chill? More liquid? Go for the Social Kitchen SKB Pilsner or the Iron Springs Kent Lake Kölsch. Each is served at 40 degrees in a 50 CL glass. What else do you need in a German-esque beer hall? Sausages of course. Bring a couple of friends and bite into the sampler platter with all the fixings. Prost! Need WiFi while you wander SF? Apple has you covered at its brand-new Union Square store, which is as stylish as it is smart. When we strolled by on opening day there was the expected fanfare with orderly lines of Apple adorers waiting in anticipation, media milling about and choppers hovering overhead. Hours later, after the hoards had thinned, we slipped inside the 42-foot-fall sliding glass doors, listened to a band playing to a crowd on the store’s second storey and marvelled at the massive art-filled outdoor plaza that’s open to the public around the clock. Here, there are rows of tables and chairs, a lush living wall that stretches skyward 50-feet and installations such as Love, by local artist Laura Kimpton. Inside is “The Avenue,” interactive themed “windows” that showcase Apple’s products and services and “The Forum,” with its 6K video wall and a community gathering place where a rotating lineup of artists, entrepreneurs, gamers and more will offer educational insight into their passion projects. 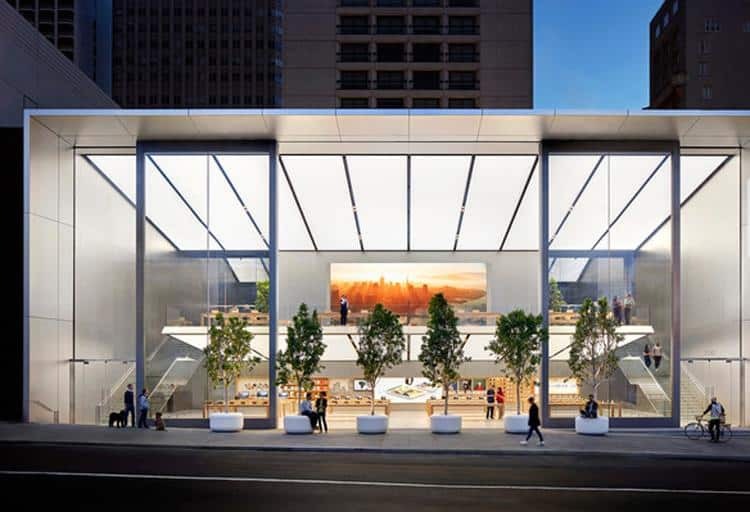 Apple detractors may question the amount of electricity needed to power the store, but rest assured, photovoltaic panels integrated in the building’s roof deliver 100 per cent renewable energy. 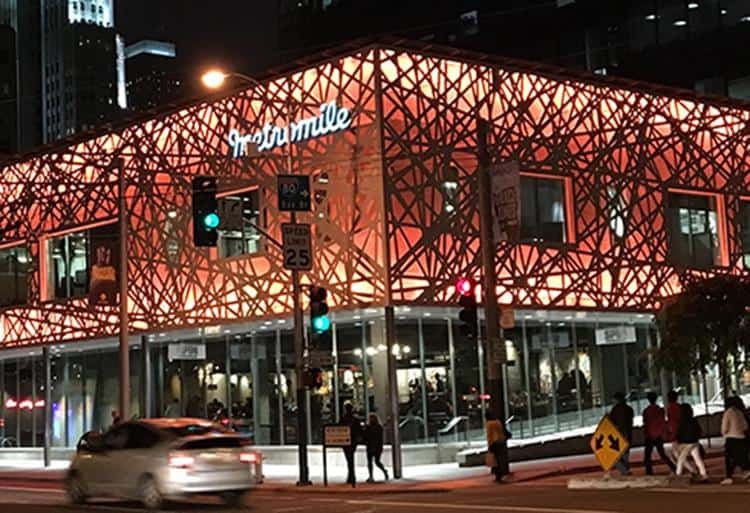 San Francisco’s Hayes Valley ’hood wasn’t always the epitome of hip-meets-haute. This area west of City Hall was revitalized after the 1989 earthquake that rocked the city eventually led to the demise of the damaged highway. 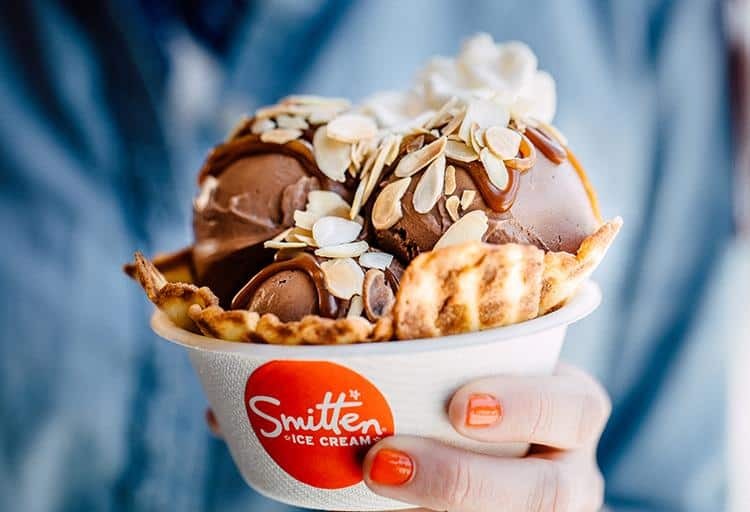 Hayes’ shady past has now been brightened up with super-cool places like Smitten Ice Cream’s flagship, a sweet spot on the corner of Ottavia and Linden streets. Trust us: ice cream doesn’t come fresher—or with a smoother texture—than this. Happy cows in Petaluma provide the organic milk and cream that are churned to order. Yes, you get to watch as your very own scoop of seasonal licks like salted caramel and Mojito (made with Cali spearmint) swirl around in Brrr!, the liquid-nitrogen machine patented by founder Robyn Sue Fisher. Get some to go and hang out at Patricia’s Green, a pocket park nearby. Like many areas of SF, the Mission is in a state of flux, where posh boutiques bump up against thrift shops. Visitors who come to this multicultural enclave often head to the 1791 Mission Dolores to see its painted ceilings and ceramic murals. They also amble over to The Women’s Building to gawk at the four-storey-high MaestraPeace Mural, which was given some TLC in a few years back to revive this visual story of women’s contributions to the world. For a look at the here-and-now, head to one of the area’s alleyways. The Clarion Alley Mural Project (bordered by 17th and 18th streets and Valencia and Mission streets) is where thought-provoking murals and graffiti capture the Zeitgeist of the neighbourhood and beyond. Walls are living canvases where artists highlight issues such as gentrification, politics, poverty, drugs and more. 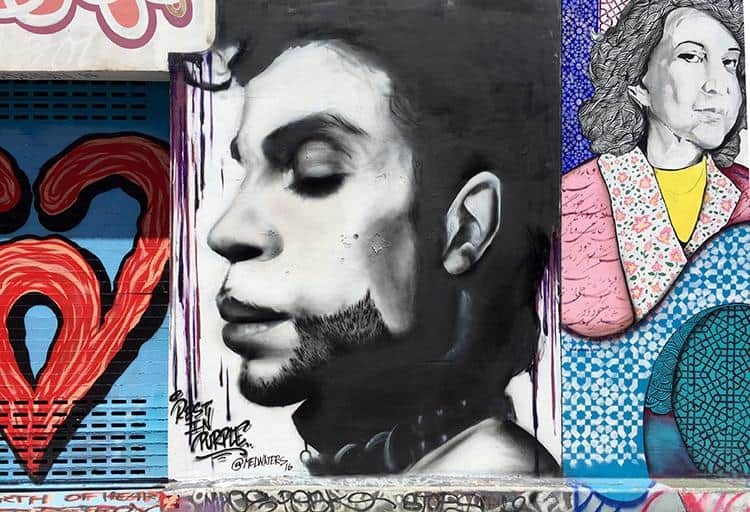 Like a tribute to Prince as seen in “Rest in Purple” (pictured above) by muralist and tattoo artist Mel Waters. There’s no question that the Golden Gate Bridge is constantly captivating with its look-at-me International Orange exterior, Art Deco elements and ephemeral quality as it disappears in the fog. First-timers often stroll the structure or bike over and back, but the bridge is the ideal gateway to adventure and solitude that awaits in Marin County. Cycling to nearby Sausalito is a quick jaunt, but we like to stretch the legs a bit more and get beyond the crowds that descend upon this seaside village. Instead, we put another 16 kilometres under the wheels, riding to the hamlet of Tiburon and taking the ferry back, past Alcatraz, to Fisherman’s Wharf. The paved pathway that traverses along the water is relatively flat and passes sites such as the Sausalito house boat community and Bothin Marsh. Bring water and prepare for a little uphill grind through quiet residential streets before the road drops you back into Tiburon where you can hop aboard a Blue and Gold Fleet ferry back to the city with like-minded cyclists.